This isn't our yard, but it's in our town. It's a good representation of the snow we've had this week! 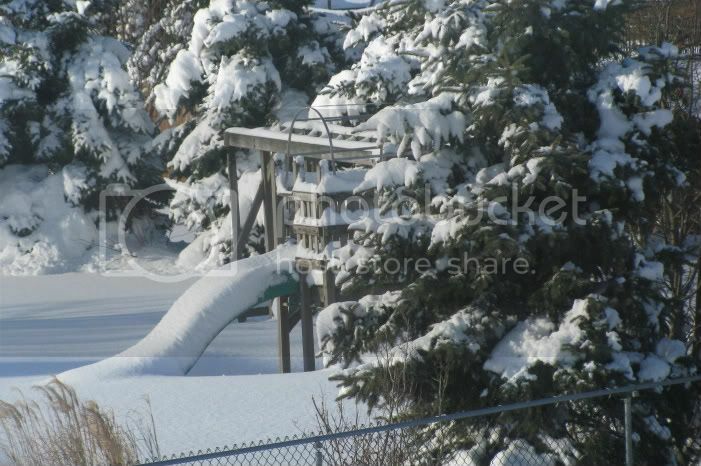 The snow this year has been crazy!!!! Back in Nov. I bought a great pair of snow boots on sale, so glad I did!!! They got LOTS of use this year!